The heart and soul of any establishment is the bar. It's where people come to gather, to meet and to talk. Not only is it the hub of social activity, but also a very important profit center. 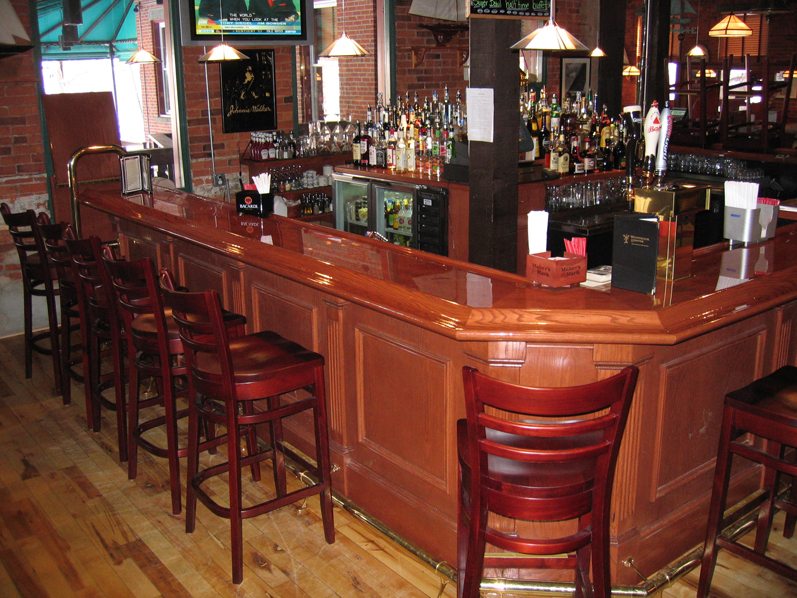 To the customer, the bar is the place to see and be seen... for the restaurant, it's about marketing and functionality. The bar is the place where your wares are displayed... the more people see and the more attractive the display, the more likely customers will order it. At BoldWood Interiors we say, "The bar is to the bottle as the picture frame is to the painting." Surely, it is also a functional space that is very active and at times congested. 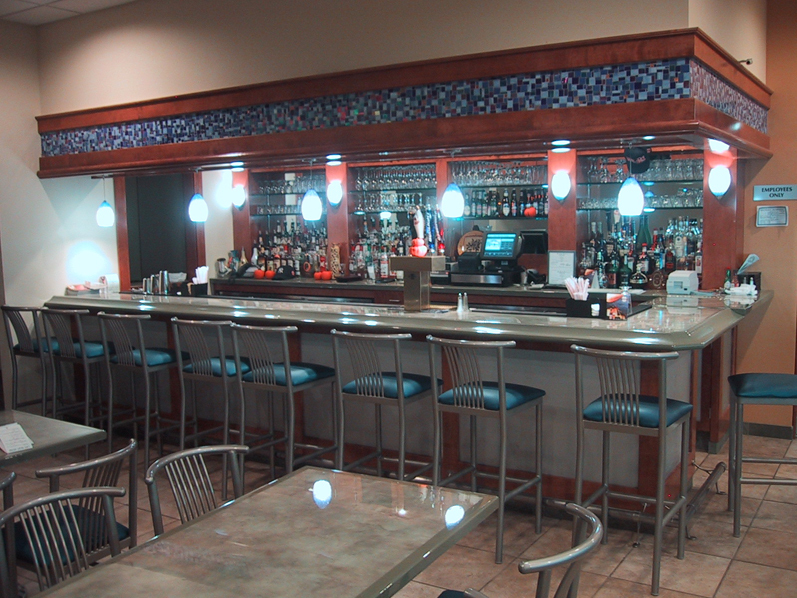 It is extremely important to have a bar that is both visually stimulating as well as efficient in space and movement. 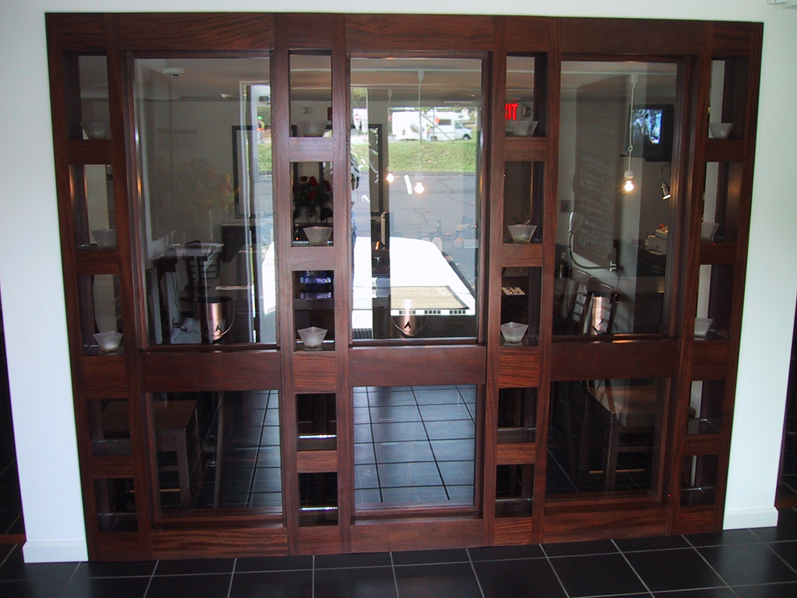 These are the bars designed by BoldWood Interiors, the result of years of study, from both sides of the counter. BoldWood Interiors restaurant fixtures and cabinetry are designed and fabricated to endure the rigors of everyday restaurant life. They are built to be beat on, day in, day out., and for years to come. No flake board is ever used... whether using an all laminate cabinet or a hardwood cabinet, flake board just doesn't last. Look behind our competitors' bars, and you just might see flake board. Boldwood Interiors of New Haven is proud to have been named North America's exclusive representative for WORKSHOPS NECTOUX ZINC bar tops.